Would You Choose to Play Ugly? If you had a choice in a Fantasy Life, would you choose to be Ugly? Would you choose to grow old and die of old age? In a few years? Well, if that’s your dream, you may soon will be able to do that. Maybe this idea will get traction, but no other popular MMO that I’m aware of makes this choice. 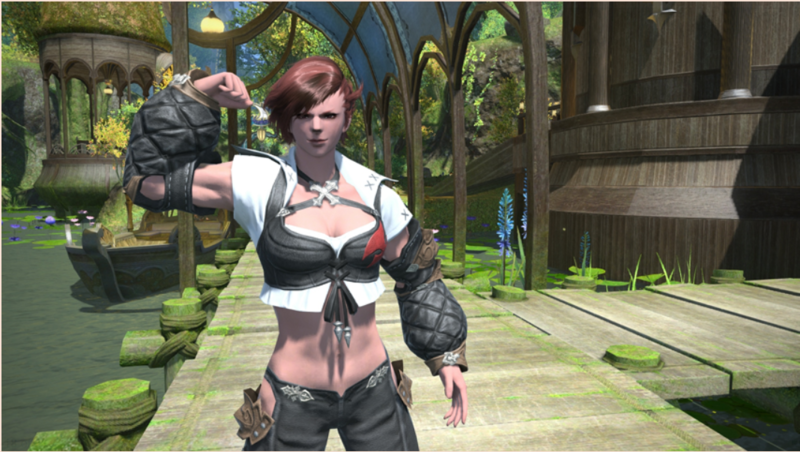 All other MMOs that I’ve played have made it easy to be attractive. Yes, there is usually a race or two that are, shall we say, Dramatic in their appearance, But they are usually not designed to be ugly. Apparently all the tribes of Elyria are designed to be, what I’ll call here, Dramatic, and all look similarly so. That is, all the Races, or Tribes, look like variations on a single or two similar looks. For me this is a turn off. An interesting take, but still a turn off. Here are some choices that they showcased in the character creation video. I don’t mind a dramatic choice, but there don’t look like there are any “Attractive” or “Fantasy” choices. I’m not into “Body Shaming” or criticizing folks looks. Personally, I’m not that handsome. But I don’t seek out ways to identify myself with an Avatar that looks worse than I do. At least not all the time. I admit that there is novelty here. But I’m not clear that this is going to be popular, especially since these are the Only Choices in the game. Looks like a turn off and bad choice for the game. This is a screenshot of the Concept Art from the website. Is this the fantasy life you would choose? World of Warcraft, as an example, has some Dramatic Choices for character styles as well. Orc’s, I’m talking to you. I don’t think an Orc minds being called “Dramatic”. If anything, Orc’s are full of Drama. But there are also attractive choices. This game appears to have no Attractive choices. No that long ago, Wow went through a character redesign that made all of them more “attractive”. I would argue that Final Fantasy XIV has no “Dramatic” choices. While the Roegadyn might be considered Dramatic. They are not really in the same league as any of the character choices in Elyria. Here’s a Roegadyn woman. There are a few other design choices in Chronicles of Elyria that I’m not sure that I’m psyched about: Take for example, Old Age. There were a few games, and there may actually some that still exist out there, that have taken the choice that “Death in the Game is Permanent”. So if you die in the game, you start over with nothing left from the previous character. So you have not heard of these games? I wonder why. Maybe that’s not the Fantasy Choice that very many folks make. Chronicles of Elyria is in Pre-Alpha. I’ll be watching for future announcements and may give it a try if it’s a Free-to-Play title or has a reasonable trial option. But I can’t say I’m psyched by their choices. What about you?